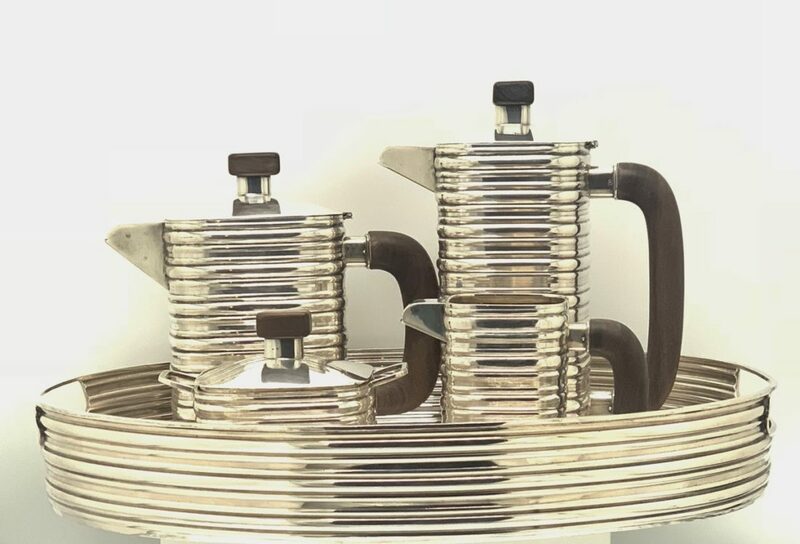 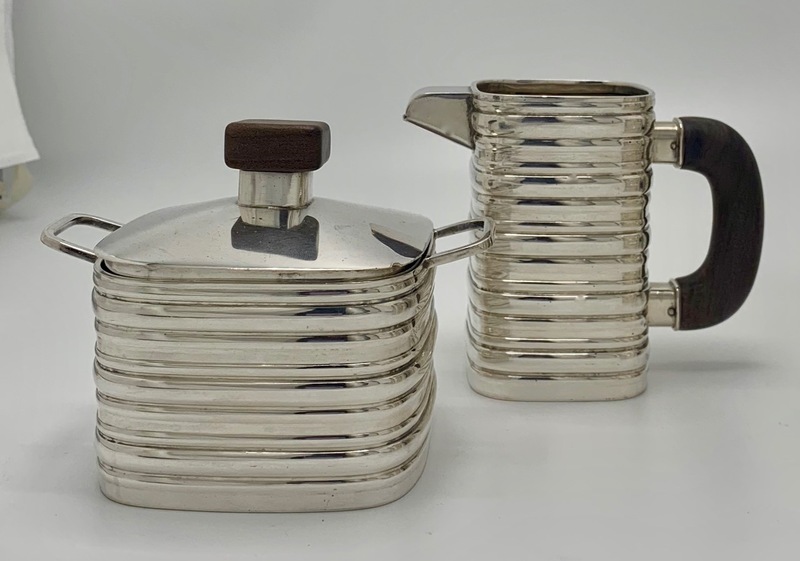 This mid-century modern tea and coffee service was made by Ricci & Co. of Alessandra, Italy circa 1968. 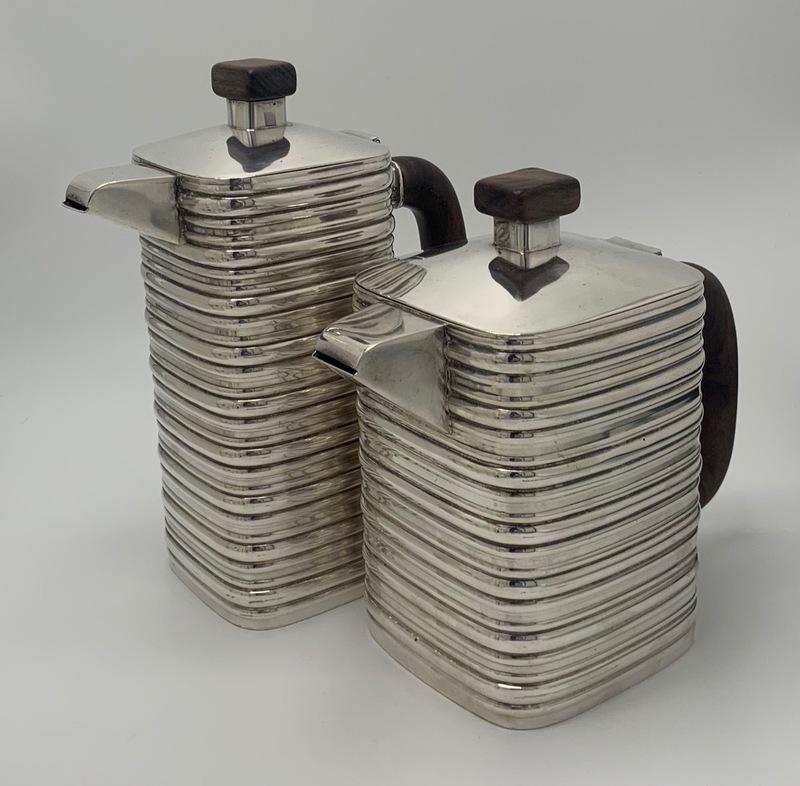 It was completely handmade and is a remarkable example of Italian Mid-Century Modern design. 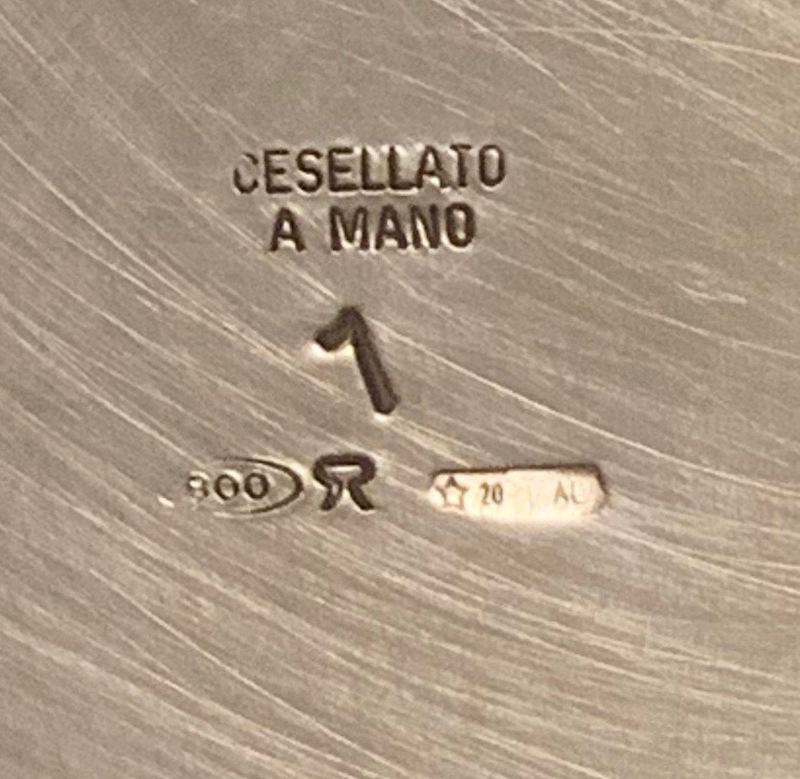 All the pieces including the tray are of 800/1000 fine silver, which is the Italian standard usually used for hollowware made to be sold in Italy.